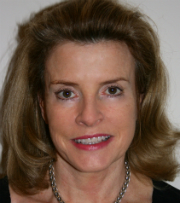 IAPB Treasurer, Debra Davis is a former partner of the consulting firm Deloitte. She retired from Deloitte after an 18 year career and has since worked as an independent consultant helping clients with financial management and strategy development. Debra manages a portfolio of directorships and trusteeships for organisations in the social investment and international development sectors. She also volunteers as a Business Mentor in the Prince’s Trust Young Enterprise Programme.